The Dell Anti-Theft Security Kit is a custom-designed all-in-one locking solution to help protect the chassis and internal components while securing the monitor, keyboard, mouse or speaker cables. The locking unit can be looped or anchored to the desk. This is an excellent custom security solution. Loop-ended security cable can be used alone or with anchor plate. Installs in seconds! 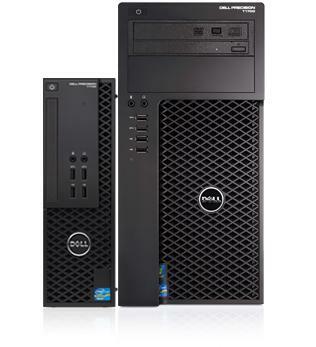 Pick up a powerful Dell Precision T1700 workstation from ITC Sales at the lowest possible market price. We specialise in the highest quality machines from across the Dell Precision range – each hand-selected by our own team for total performance and value for money. For home and business purposes alike, ITC Sales maintains an unrivalled range of Dell desktop machines at the most affordable prices. What’s more, every Dell desktop from our Precision range comes with an extensive warranty and our full aftersales support service as standard. Be sure to check back on a regular basis to see the latest bargains added to the range.